Sample plot generated by MPLCMASK. Click to enlarge the image. An operational cloud boundary algorithm has been implemented for use with the ARM micropulse lidar (MPL) systems. In addition to retrieving cloud boundaries above 500 m, the Micropulse Lidar Cloud Mask (MPLCMASK) value-added product (VAP) applies lidar-specific corrections (i.e., range-square, background, deadtime, and overlap) to the measured backscattered lidar. Depolarization ratio is computed using the methodology developed by Flynn et al. (2007) for polarization-capable MPL systems. The cloud boundaries output from MPLCMASK will be the primary lidar cloud mask for input to the Active Remote Sensing of Clouds (ARSCL) VAP and will be applied to all MPL systems, including historical data sets. This VAP processes data for the Southern Great Plains, North Slope of Alaska, Tropical Western Pacific, and ARM Mobile Facility sites. For more information, see the MPLCMASK VAP report. Lamer K, A Fridlind, A Ackerman, P Kollias, E Clothiaux, and M Kelley. 2018. 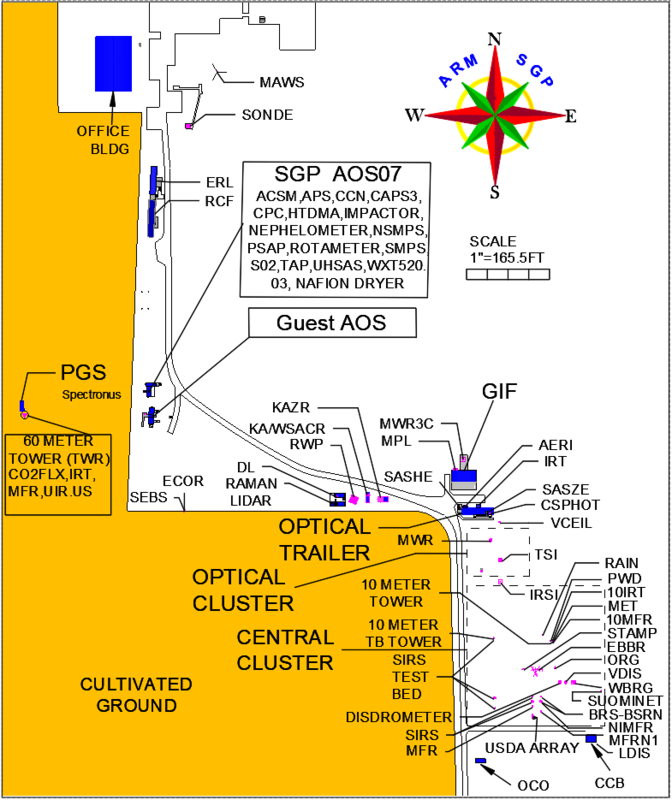 "(GO)2-SIM: a GCM-oriented ground-observation forward-simulator framework for objective evaluation of cloud and precipitation phase." Geoscientific Model Development, 11(10), 10.5194/gmd-11-4195-2018. Won H and M Ahn. 2018. "Effects of Dynamic Range and Sampling Rate of an Infrared Thermometer to the Accuracy of the Cloud Detection." Remote Sensing, 10(7), 10.3390/rs10071049. Shupe MD, DD Turner, A Zwink, MM Thieman, EJ Mlawer, and T Shippert. 2015. "Deriving Arctic Cloud Microphysics at Barrow, Alaska: Algorithms, Results, and Radiative Closure." Journal of Applied Meteorology and Climatology, 54(7), 10.1175/jamc-d-15-0054.1. Sivaraman C. 2012. ARM Climate Research Facility Quarterly Value-Added Product Report Fourth Quarter: July 1–September 30, 2012. U.S. Department of Energy. DOE/SC-ARM-12-022. McFarlane S, C Sivaraman, T Shippert, Y Shi, L Riihimake, and K Gaustad. 2012. Value-added Product Highlights from the Cloud-Aerosol-Precipitation Interactions Working Group. Presented at 3rd Atmospheric System Research (ASR) Science Team Meeting. Arlington, VA.
Sivaraman C. 2011. ARM Climate Research Facility Quarterly Value-Added Product Report January 1–March 30, 2011. DOE ARM Climate Research Facility. DOE/SC-ARM-11-011. Sivaraman C. 2011. ARM Climate Research Facility Quarterly Value-Added Product Report Fourth Quarter: July 01–September 30, 2011. U.S. Department of Energy. DOE/SC-ARM-11-023. Sivaraman C and J Comstock. 2011. Micropulse Lidar Cloud Mask Value-Added Product Technical Report. U.S. Department of Energy. DOE/SC-ARM/TR-098. Sivaraman C, J Comstock, K Johnson, C Flynn, Z Wang, and S McFarlane. 2011. Routine Cloud-boundary Algorithm Development for ARM Micropulse Lidar. Presented at 2nd Atmospheric System Research (ASR) Science Team Meeting. San Antonio, TX.